Whew! It has been such a fun and full week! My lovely parents came to visit all the way from Utah and left today, many tears were shed 😦 While they were here I worked with my Mom pumping out tons of goodies for my only sister who is due with her first baby girl this winter. One thing that is a must in my book is little bows 🙂 Really helps with the “Oh my, what a darling little boy” comments. It also helps to dress up any outfit! I love the look and feel of felt for these headbands. I decided to write up a tutorial on the process! Enjoy! **Tutorial is for personal use only. If blogged about, I would appreciate a shout out and possibly a link back here to the tutorial. Thanks! *If you don’t have the resources or time to make your own bows but need to get your hot little hands on a sweet everyday set, I have listed a classic colors set of 6 in my shop. –waxed beading thread. This thread is thick like dental floss (you could use dental floss in a bind). 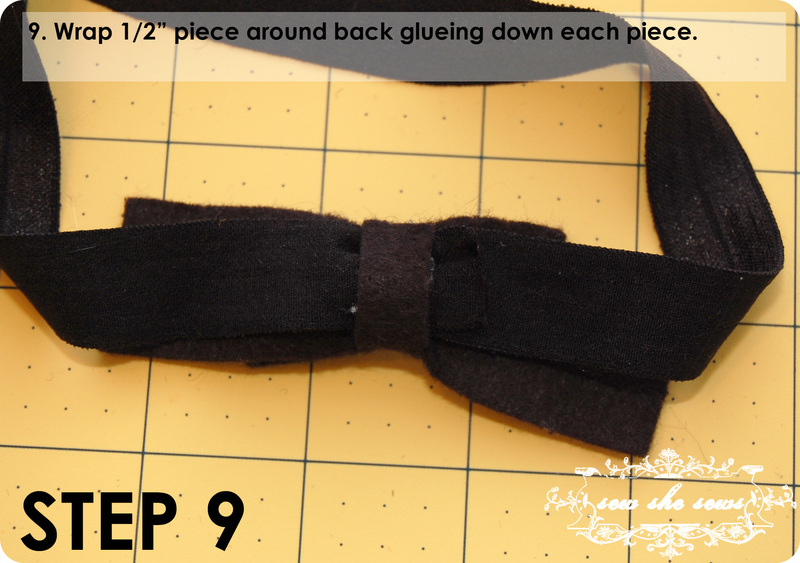 It is very strong and ideal for making bows and hair accessories. I found mine at Walmart in the beading aisle. Linked up to Amazon. -elastic (double fold used). Find it here or here. 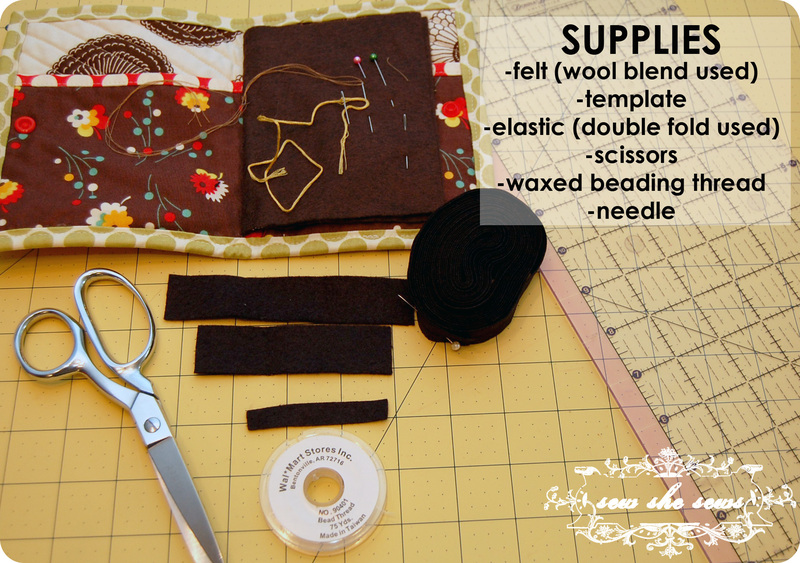 Cut felt pieces according to template. Cut elastic. 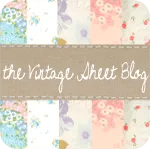 Typically newborn babies head’s measure approx. 12.5″-13″, so cut elastic at 13.5″. 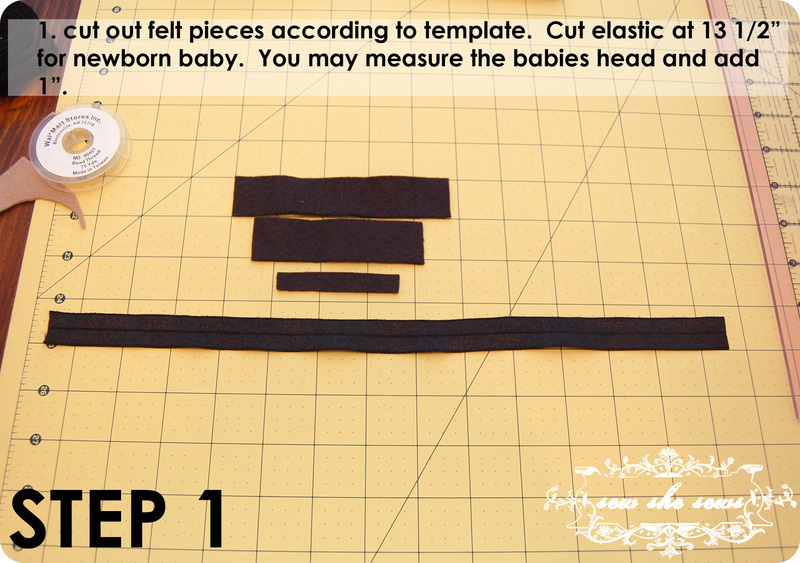 If making for older baby or child, measure their head first. Add 1″ to the measurement to account for overlap. 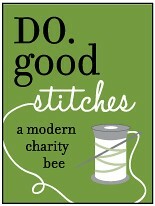 Now is a good time to thread your needle. 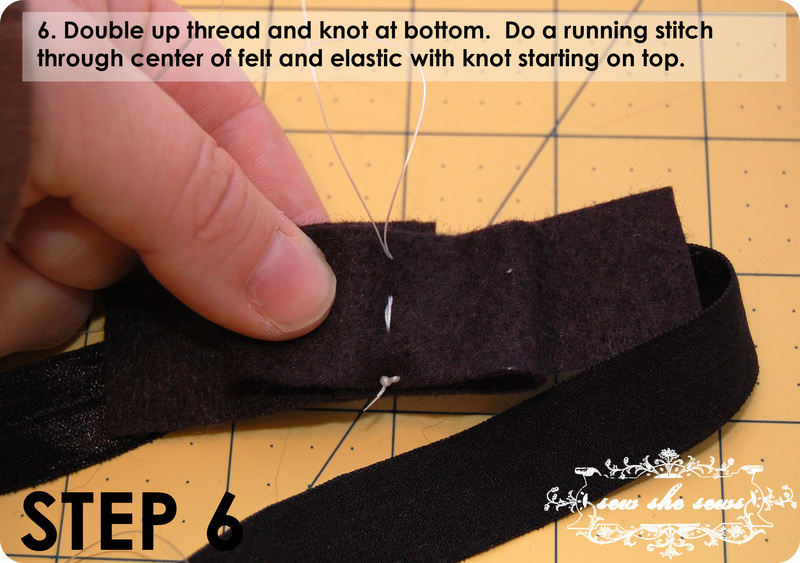 Cut a long piece of beading thread and double it up knotting the ends together. 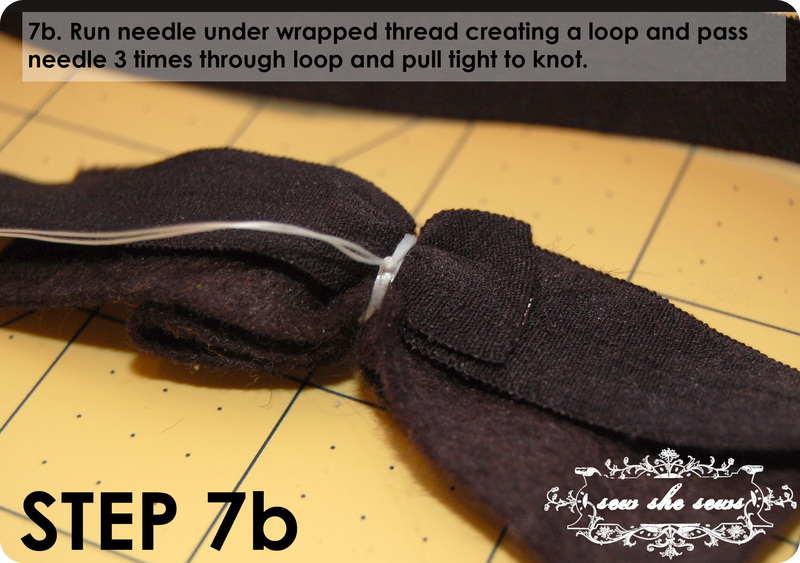 Fold 5″ piece of felt overlapping ends by about 1/2″ on each end as pictured. 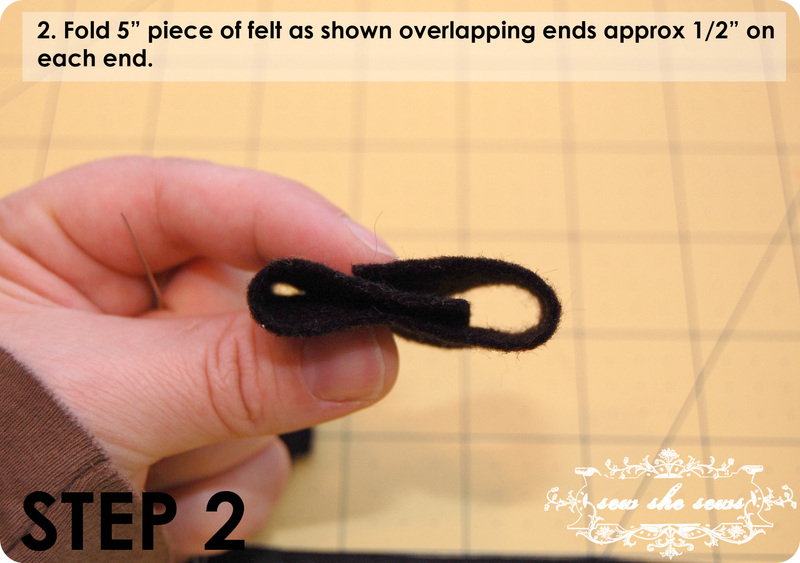 Place folded felt piece on top of 3″ felt piece, centering it. Set aside. 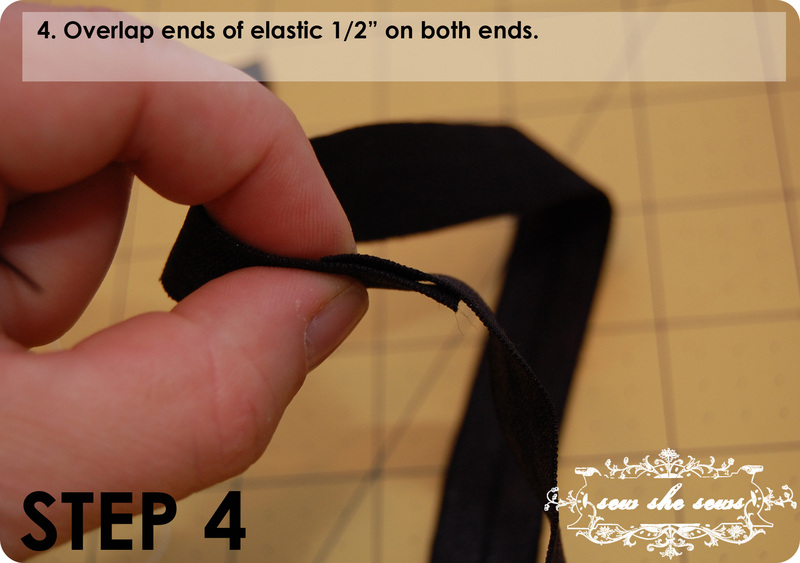 Making sure elastic isn’t twisted, overlap ends about 1/2″ on each end and hold in place. 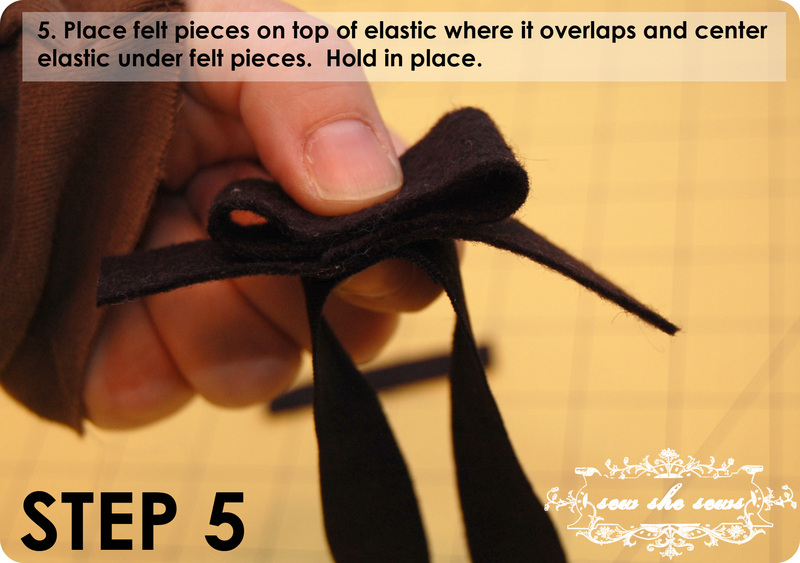 Place felt pieces directly over the folded portion of the elastic, center the elastic in back of felt. Hold with one hand in place. 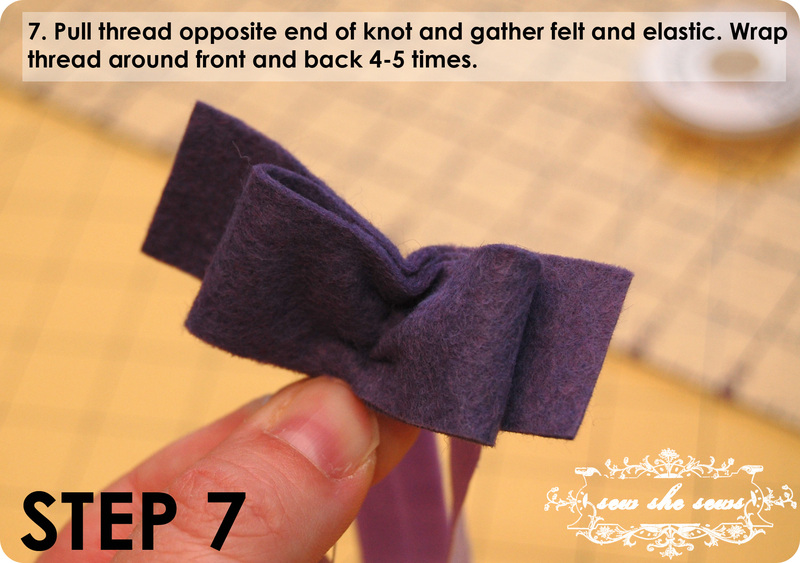 With the knot starting on the top edge of the bow, make a running stitch (large stitch) and end with the thread on the upper side. 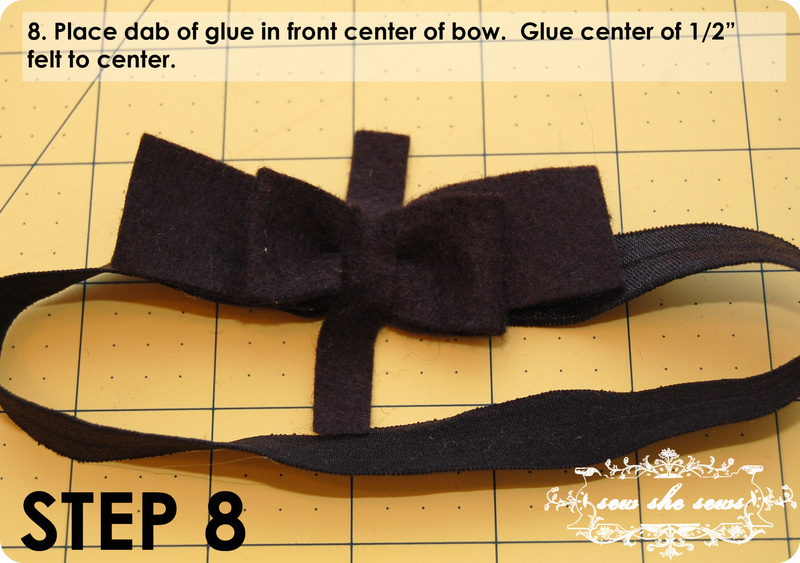 Place a dab of glue (hot glue used) in front center of bow. 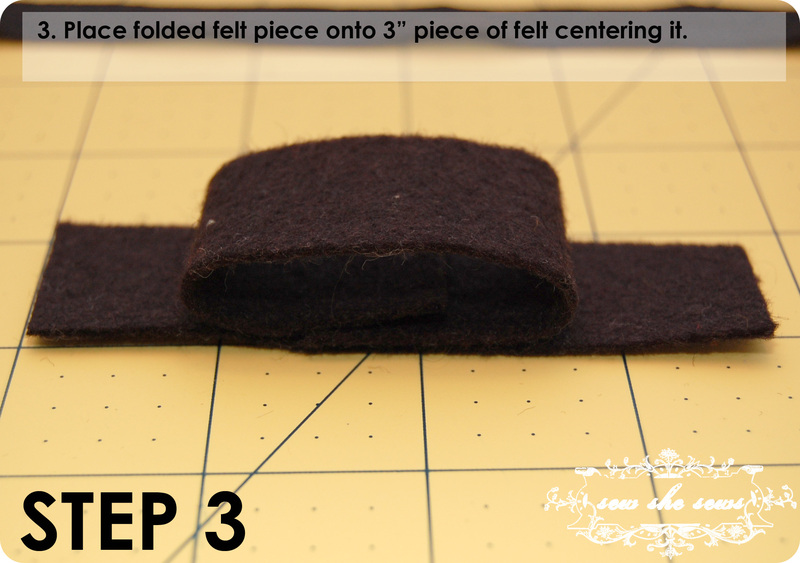 Adhere 1/2″ piece of felt to the glue, centered. 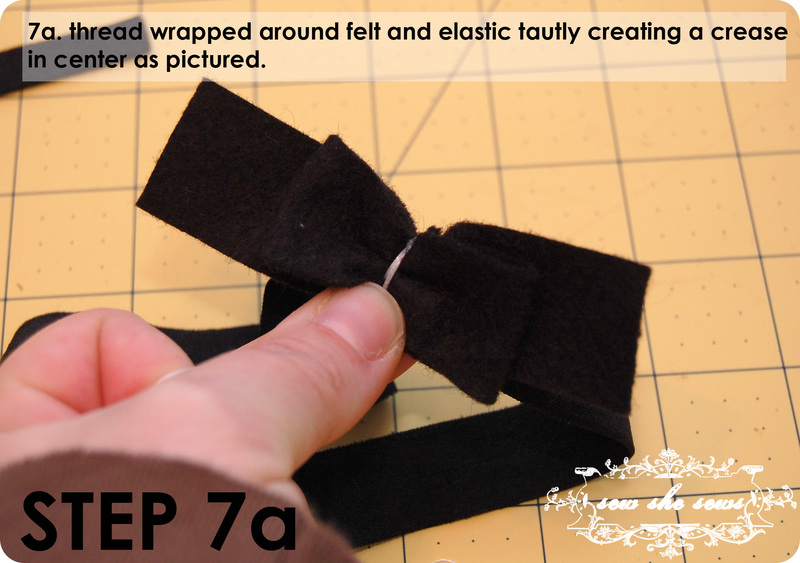 Glue down each end of the 1/2″ piece of felt around the back of the bow. Trim ends if necessary if they are too long. 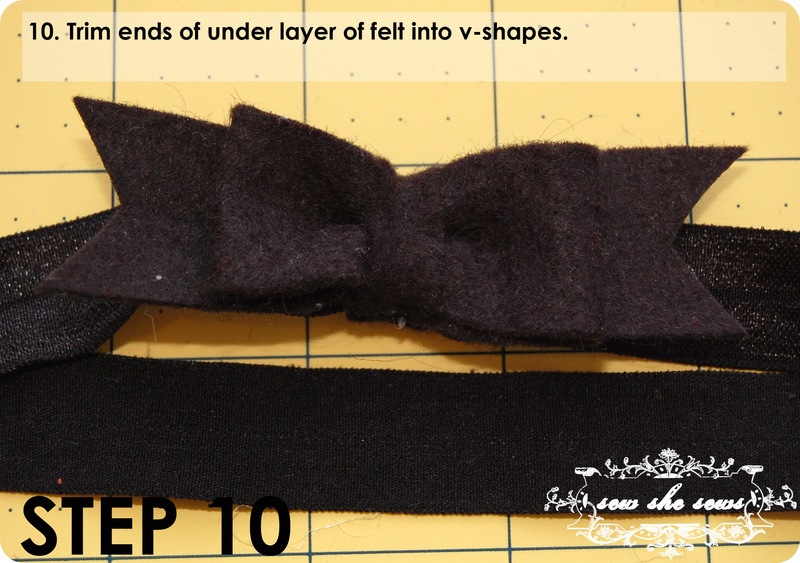 Trim the bottom 1″ layer of felt ends into v-shapes. 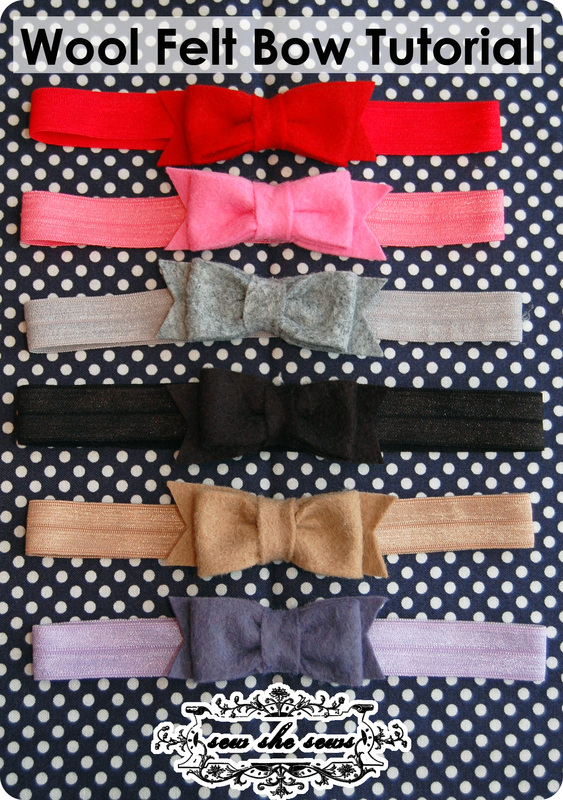 Try to keep them further out than the bow for the best look. 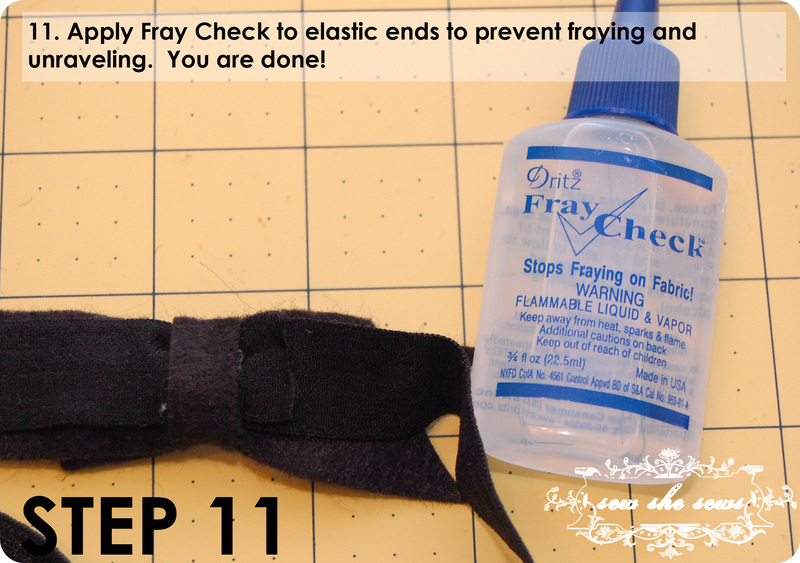 Use fray check on elastic ends to keep them from fraying or unraveling. You are done! YAY! I would love to see bows you make! Come and enter them into the Flickr group! P.S. 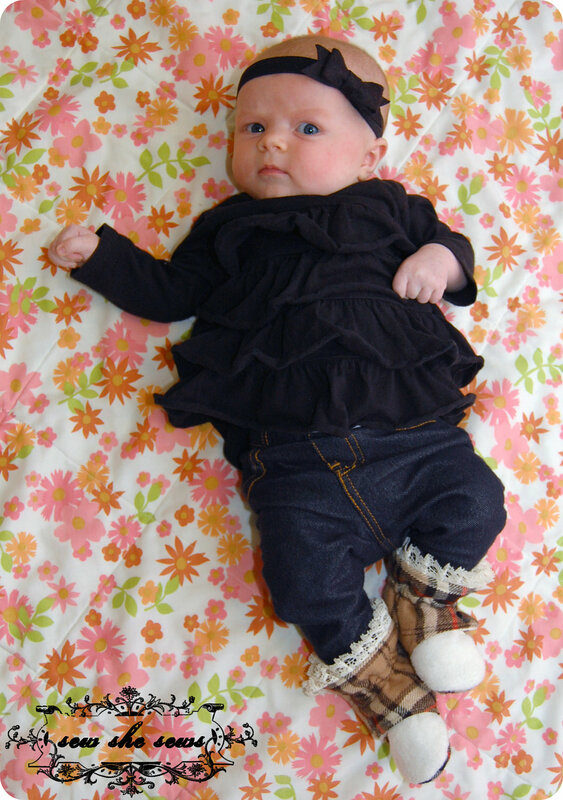 The boots my baby are modeling are made using my Ruffled Boots Pattern available in my shop! i’ve been meaning to make these for Lark, so cute! Can you use regular felt for these? Sure you can! I would highly recommend wool felt or a blend though, it won’t pill as much and stay nicer for a longer period of time. Blend, as in a poly one? My only place to shop is wal-mart and i would love to make these! Is there someting else you would suggest beside the elatsic you used, since i cant find it and would like to avoid using my cc? My bow seems smaller than yours, but i used the template? for bigger heads would you go up in size on the bow and by how much if so? Cute! I want to make one for my niece. Thank you for the tutorial!